I just returned from a trip to Beaufort, South Carolina, which, if you’ve never been there, has some of the most idyllic settings the lowcountry has to offer. Steeped in history, there are countless antebellum homes, a breathtaking waterfront park and the ocean is just a short drive away. To give you an idea of the area, the majestic Southern home where “The Big Chill” was filmed is located right there on the bay. I picked Beaufort for this long-weekend trip just as I was gearing up for the release of BEFORE THE STORM, my new novel that takes place in the fictional seaside town of Rarity Cove, also in South Carolina. Feeling the salty ocean breeze, seeing the garlands of Spanish moss hanging from centuries-old live oaks…well, it got me in the right frame of mind for my latest novel’s debut. 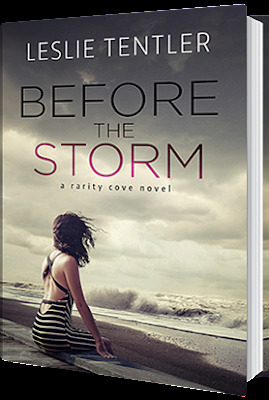 BEFORE THE STORM is my fifth book and while still romantic suspense, it is a departure from the serial killer, law enforcement-oriented books I have written thus far. It features a young woman named Samantha Marsh, which in actuality is an assumed identity my heroine has been living under for six unsettling years. Running from a dark past and a very real threat on her life, Samantha has come to Rarity Cove seeking to reclaim her Southern roots and to try to make some peace with herself. The book also introduces the St. Clairs, a family I’ve held near and dear to my heart for some time now. The equivalent of Southern, small-town aristocracy, the St. Clair name is synonymous with a very old and elegant seaside hotel, which my hero, Mark St. Clair, now presides over. On the surface, Mark has it all—wealth and prominence, and a legacy that bestowed upon him a pre-made, successful career. But Mark has also dealt with his own share of tragedy, losing his wife in a tragic accident two years earlier and raising alone a sweet but troubled young daughter, emotionally traumatized after witnessing her mother’s death. Mark was convinced he could never be drawn to another woman until Samantha enters his life. But as in any story of this type, Samantha’s dangerous past eventually catches up to her. To make matters worse, it’s at the same time a powerful hurricane is barreling down on the small resort town. I hope you’ll come to love the St. Clair family as much as I do—not only Mark and his little daughter, Emily, but also Mark’s slightly overbearing mother, Olivia, and his adult siblings, Carter and Mercer. Carter, by the way, is a soap opera actor and prodigal son, with a tense history with Mark that adds an extra layer to the story. Beaufort is much larger than I imagine my fictional Rarity Cove to be, but it offers the same air of Southern elegance and history. My dream has always been to live at the ocean, where I can take my long morning walks at the water’s edge. Nowhere do I feel more at peace. While I was there, I imagined Samantha walking similar shores, searching for some connection and a safe harbor from her unspeakable, dark past. Leslie Tentler’s October 2015 release is titled BEFORE THE STORM. She is also the author of FALLEN and the Chasing Evil Trilogy (MIDNIGHT CALLER, MIDNIGHT FEAR and EDGE OF MIDNIGHT). Learn more about Leslie and her award-winning books at www.LeslieTentler.com. Samantha sat on the stoop outside her apartment, drinking a diet soda and watching kamikaze bugs incinerate themselves on the streetlight. But her thoughts were still with the Memphis postcard, which she had ended up tearing in two and throwing into the trash at the café. If only her memories could be that easily discarded. Six years had gone by, but even now the slightest reminder of her past could still throw her into a tailspin. In her nightmares, Devin Leary was coming for her, and he was going to make her pay. But that’s all they were—nightmares. Devin couldn’t hurt her anymore. And Trina Grissom no longer existed. My name is Samantha Marsh. Closing her eyes, she repeated the statement in her head like some desperate mantra. She had taken careful steps to create a new identity, a new life for herself. She had to learn to relax and trust that she’d covered her tracks well. That no one would ever find her. A full moon glowed in the dark night overhead, and the peace was broken by a pack of boisterous young men headed to the beach with coolers in hand. One gave a wolf whistle and asked if she wanted to come along and have a cold beer. Samantha ignored them, just as she ignored most men, rising from the stoop and going back inside to the air conditioning. It was getting late and six a.m.—the time she met Luther six mornings a week to start food preparation—would come early. Samantha double-checked the lock on the door and went to prepare for bed. As she pulled pajamas from the drawer of the bureau, she uncovered the jewelry box tucked among the clothing. On impulse, she opened the lid, lifting the inexpensive cameo from inside it. The cameo had belonged to her mother. Along with Walton, a worn-out teddy bear that sat on the bed, it was the only remnant of her true past that Samantha still clung to. Proof that she had been someone’s child. That she’d had an actual childhood, at least for a while, before her world had come apart. Those sentimental items—along with the cash she’d been saving—were the things she had foolishly returned for that fateful night. Without warning, Devin’s hard features filled her vision. She could still smell his musky aftershave and feel his bruising grip on her throat. Before closing the drawer, her fingers touched the small derringer she kept there. Thanks so much, Jonetta! I really appreciate your posted review! Such a great read, kept me up late to see what was going to happen next! Loved Mark and Samantha!